A diverse range of Australian artists have received a boost to their careers, after the Australia Council for the Arts announced $6.1 million in grants for arts projects. Rudely Interrupted band members (from left to right): Josh Hogan, Rory Burnside, Rohan Brooks and Sam Beke. This funding will support 221 projects delivered by 147 individual artists, 25 groups and 49 small-to-medium arts organisations, ranging across a number of fields including dance, music, theatre, literature, community arts and cultural development. The grants received a high number of applications from regional and remote areas, with these applicants receiving 19 per cent of grant funding. 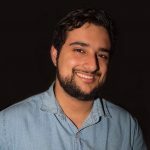 This diversity was reflected in the 101 peers used to assess the grants round, with 31 per cent based in regional and remote areas, 22 per cent identifying as culturally and linguistically diverse, 21 per cent identifying as First Nations, and 7 per cent identifying as people with disability. Australia Council CEO Tony Grybowski said he was impressed by the ambitious projects and diversity of applicants, which demonstrated the effectiveness of the program. “Since the new grants model opened in early 2015 we have received nearly 10,000 applications and we’re seeing an increasingly diverse range of artists creating and presenting art in new and innovative ways. We’re excited to be able to empower artists to push boundaries and deliver compelling works,” Grybowski said. He also said the council’s additional career development grants would support artists at key moments in their careers, creating long-term benefits for artists and the communities they serve. “We’re proud to be able to support Australia’s artists to develop the skills and networks they need to create great art and expand to reach new audiences across Australia and the world. We can’t underestimate what powerful cultural ambassadors our artists are for Australia,” Grybowski said. One artist awarded a grant was Rudely Interrupted, a rock band which said it had had to overcome a serious lack of opportunities. Because the band includes members with disability, they said they had faced serious challenges to be provided with the platform their music deserved, but this Australian Council grant will allow them to travel to Berlin for the Arts and Disability Festival in October. 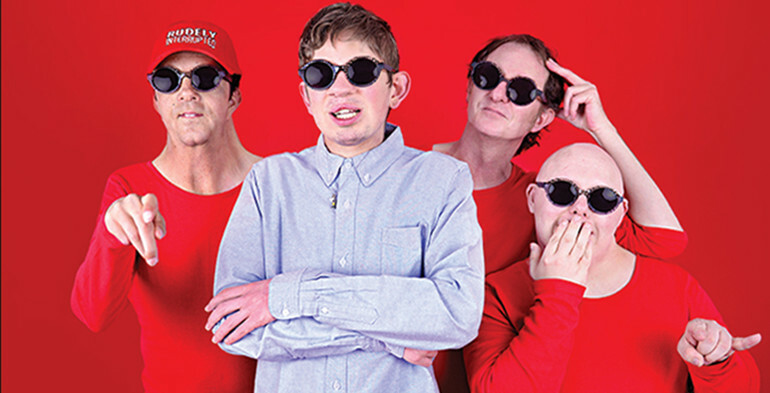 Manager and band member Rohan Brooks does not have a disability, and quickly realised the stark difference in opportunities he was afforded compared to his bandmates. “I used to play in a band called The Anyones; we played with Jet and The Killers all around the world and had some successes. And then I met these guys and they would never get the opportunities like I had,” Brooks said. He thanked the Australia Council for the grant, which he said had the band “jumping for joy”. “It’s everything to us. Access is the biggest hurdle we’ve found in the last 11 years. This is our 14th international tour and we don’t have funding for all of them,” Brooks said. “To receive this grant is just mind-blowing. In many ways it’s the only opportunity we get because we miss out on many opportunities because of who we are. We can’t just go to a local pub and do a show. [Lead singer] Rory is born without eyes and has Aspergers, so his social skills aren’t strong. Brooks said he was sick of Rudely Interrupted only being seen through the lens of a band with disability, which he compared to female rock band members constantly facing questions about their gender. “There was a big music festival that happened recently up in Brisbane which had an agenda for gender equality. And one of the things I saw was a woman being interviewed by a journalist who asked her ‘what’s it like being a girl guitarist in a rock band?’ And she asked the journalist to ask the question again, but to take out the world ‘girl’, and ask her simply what it’s like to be a guitarist in the band,” he said. “We’re the same, we’re not performing because Rory can’t see, we’re here because he can sing and play above many of his peers. He delivers a pitch perfect performance every time he plays. He’s sick and tired of people just asking him about his disability, I can tell you that. However with the Australia Council grant allowing them to take their music to Berlin, Brooks hopes the representation of Rudely Interrupted will soon change. “We want people to hear the music and talk about that, because that’s what got us here. For us, that’s so obvious but for the world, all they see is that [lead singer Rory] has got no eyes,” he said.